Galbraith has proudly been providing commercial design/build services to clients in the State College, Pennsylvania area for several years. 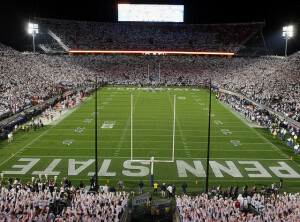 State College is a college town and home to Pennsylvania State University. The city is dominated economically and demographically by the university and Pennsylvania State University is the largest single employer in the region. In 2016, Best College Reviews ranked State College as the eighth best college town in the United States. In addition to higher education, other industries in the State College area include healthcare, hospitality, construction, government, and retail. State College hosts many special events throughout the year. One of the largest events is the Central Pennsylvania Festival of the Arts held annually in July. The five-day festival attracts 125,000 visitors and features a nationally recognized sidewalk sale and exhibition, musical performances, a giant sand sculpture, the Downtown State College Italian Street Painting Festival, BookFest, children’s activities and more. Blue-White Football Weekend is another popular annual event that takes place in April and gives attendees a first look at the Penn State football team in a scrimmage game. This informal Penn State reunion has activities all weekend, including an autograph session with members of the Nittany Lion team, student entertainment, live music and local craft and food vendors. Other popular events in the area are First Night State College, a New Year’s Eve celebration and Central PA 4th Fest on the Fourth of July. At Galbraith, we pride ourselves on our customer service. Too often, commercial contractors or designers will take a cookie-cutter approach to their projects and use cheap materials or outsource work to unqualified subcontractors. We believe that every project should be tailored to the owner’s goals and specifications without cutting corners. Our wide breadth of project experience and specialty expertise lets us assist our clients in the State College area with land acquisition and site development, planning and design, tax abatement and financing and adhering to regulatory guidelines and local stipulations, all while finishing our projects on time and on budget. Our team of experts focuses on preventative problem solving and proactively managing projects so we minimize potential issues, project change orders, and unforeseen costs.